Are you sick of dealing with dry, dull, or flaking skin? It can be more than frustrating to apply foundation to a cheek covered in dry patches, and after all that effort, your “dewy finish” foundation looks chalkier than ever by 1:00 PM. You dry-skinned ladies need to amp up on moisture and choose a foundation that’s made for your skin type, because sometimes, no matter how diligent you are about your skin care routine, you’ll be cursed with dry patches at a certain point of the year. 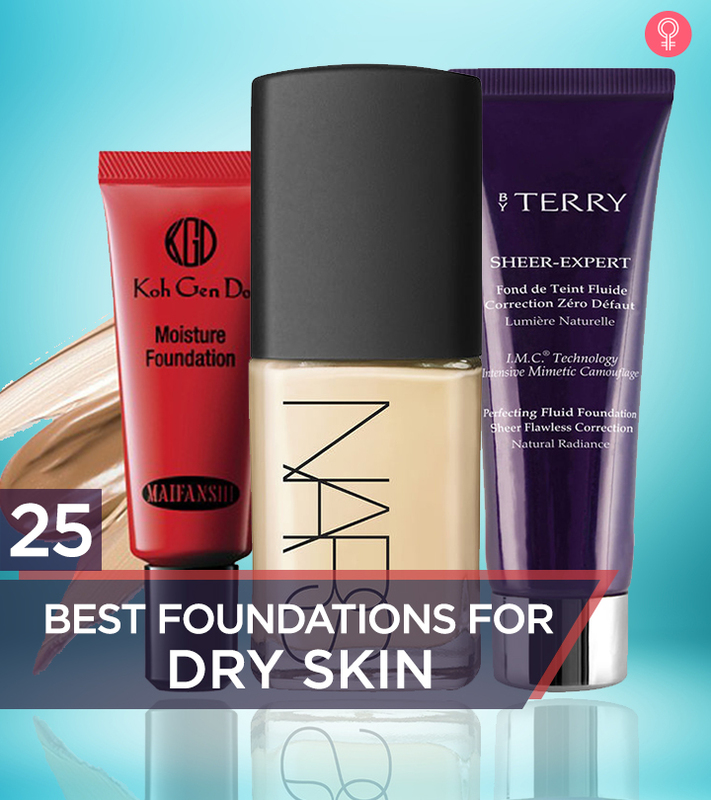 Here’s our roundup of the 25 best foundations for dry skin that will put an end to your misery. 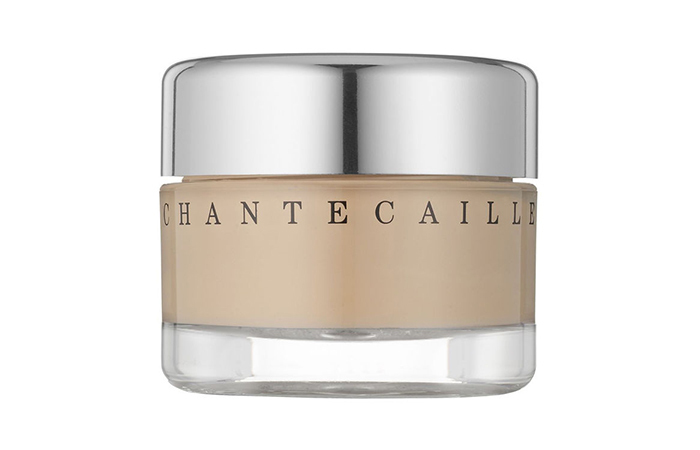 This foundation from Chantecaille is one of the top rated foundations for dry skin as its formula deals with dry skin with issues like dullness and redness. It’s lightweight owing to its oil-free, gel-like consistency. It does not cling onto dry patches, neither does it look cakey. This one’s infused with ingredients like aloe, chamomile, and arnica, which work to soothe sensitive skin and calm irritation. Although its price is on the higher side, this foundation is worth every penny, all you dry-sensitive skin types! This foundation blends like a dream, and it’s perfect for dry, sensitive skin type, and an uneven skin tone. It’s easily the best foundation for dry skin as it does not cling to dry patches. If you’re looking for a medium coverage foundation formula that gives your face a luminous effect – you have to try this foundation from La Mer! This one’s also great for mature skin as it provides ample hydration. 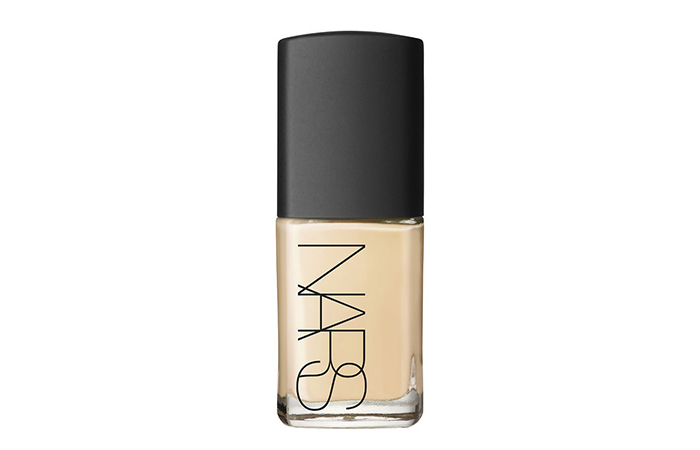 This foundation is a light, buildable, liquid formula that imparts subtle luminosity with a rather weightless feel. This is a holy-grail foundation for dry, patchy skin. If you prefer a natural-looking, glowing, luminous skin with light coverage – you will love this! However, it only comes in eight shades and those of you with very pale or very dark skin tones may not find a shade that works for you. It contains ingredients like Hyaluronic Acid, Vitamin E, C, and Green Algae Extracts – all of which hydrate and condition your skin from within. The best way to apply this skin tint, which is leaning more towards a foundation, is by using a makeup sponge. It goes on beautifully and hides redness and pigmentation well, but it won’t do much to hide acne scars or very dark undereye circles. Its formula is very hydrating, and does not cling to dry patches or accentuate them. 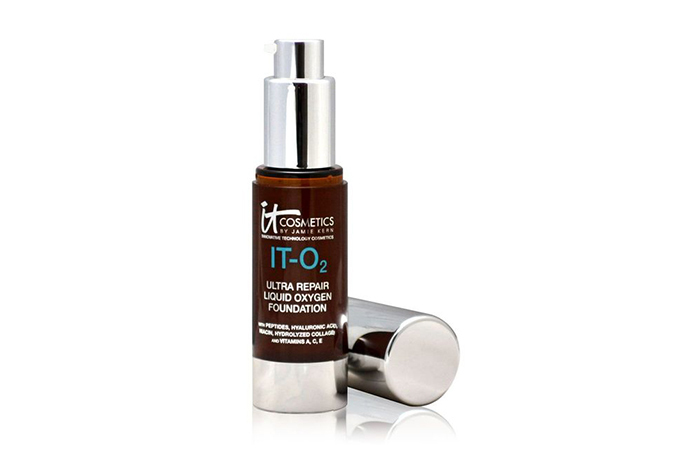 It’s paraben-free and is perfect for winter wear as it contains Hyaluronic Acid. 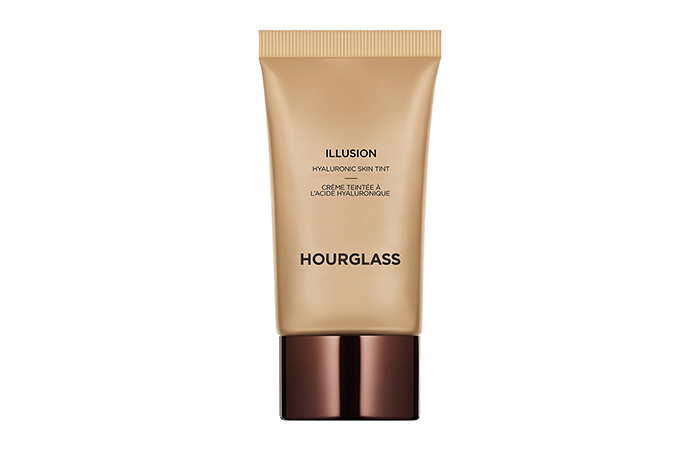 This foundations is one of the best foundations for dry skin as it provides you with exceptional coverage. 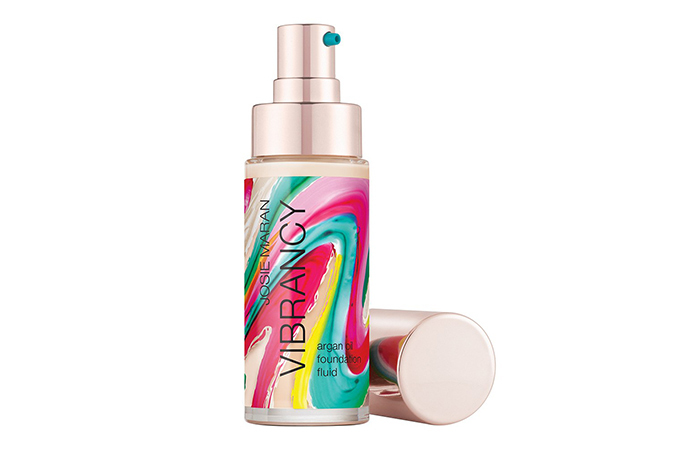 It leaves you with a velvety, slightly powdery finish, so you can use a hydrating finishing spray to set it. Its key ingredients include jojoba oil, chamomile, and calendula, lemon peel oil, and sunflower seed oil, all of which are very soothing and nourishing for dry skin. This one’s great for acne-prone dry skin or aging skin with fine lines and wrinkles. Are you looking for that stunning, lit-from-within kind of a glow? You need only a very thin layer of this, and a flat top foundation brush to achieve a flawless complexion. Yes, its price tag is overwhelming, but if you’re willing to splurge, this formula is the best dewy foundation for dry skin. 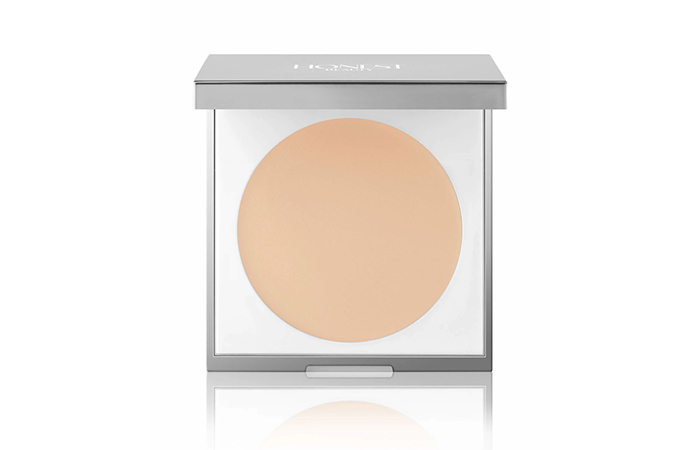 It covers redness, evens out your skin tone, and gives the illusion of naturally dewy, luminous skin. Also, its coverage is buildable from medium to full! This foundation from By Terry lasts all day long and hides imperfections well without looking like you have a mask on. It does not emphasize dry patches on the skin and works beautifully for sensitive skin. It makes your skin look fresh, luminous, and healthy. The formula offers light to medium coverage. If you want skint that looks and feels like yours, but only better – you ought to try this. It’s not cheap, but it’s worth every penny! This foundation is easy to blend and feels more serum-like, rather than a liquid foundation. It’s filled with the goodness of plant-based antioxidants, some of which are reparative in nature. Now it definitely is one of the few lightweight foundation formulas on the market that won’t break you out or dry out your skin further, but here’s the catch – it tends to look a little artificial when worn during the day. 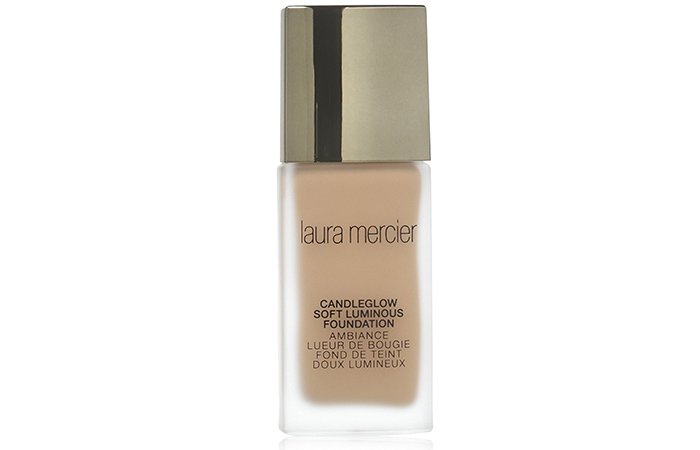 The intensity of shimmer in its formula may hold you back when it comes to this foundation. However, it can be worn during the evenings or for special occasions. This is an incredible foundation for dry skin, and it blends like a dream, provided you have the right tools for application. Using a buffing brush is a good choice for applying this formula and for blurring out tricky areas around the nose, forehead, chin, and around your mouth. It contains turmeric extract, which is great for acne-prone, sensitive skin. 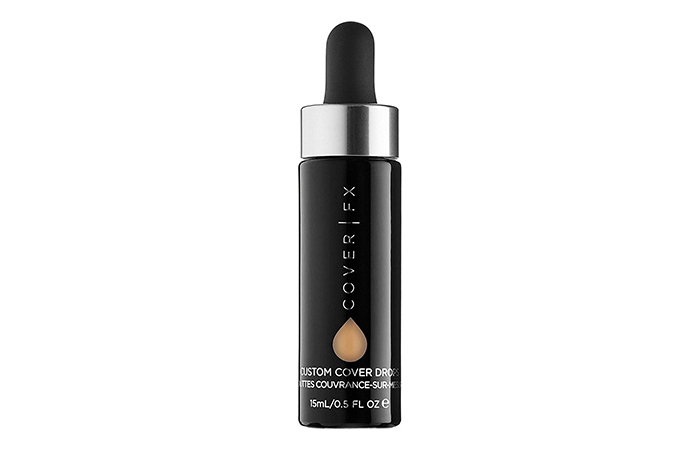 It does not feel too heavy on the skin, and its coverage is buildable. Also, it leaves your skin looking healthy and fresh while adding a nice, subtle glow to it. Looking for a foundation with a whole bunch of natural ingredients? This one by Josie Maran is a treat for dry skin as it contains pure Argan Oil. If you’re going for a dewy finish, this oil based foundation for dry skin does wonders and it won’t emphasize dry areas on the skin. It also contains Blueberry Argan Extract, Ginger Root Extract and White Bird of Paradise Extract that helps restore skin luminosity and recapture your skin’s radiant vitality. 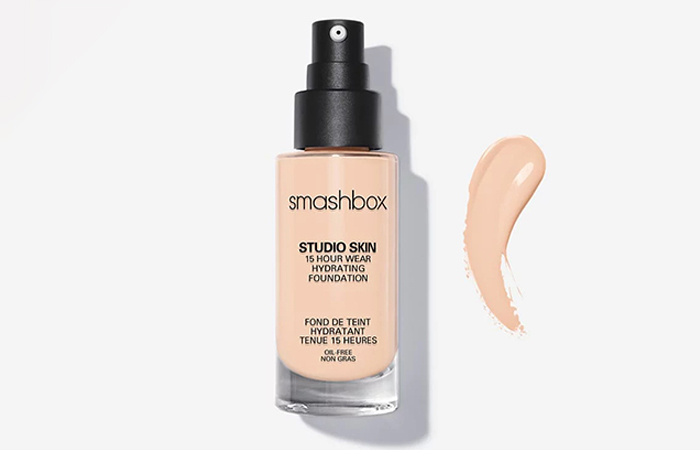 If you like to keep it minimal and prefer natural-looking makeup, this Smashbox foundation is meant for you. Despite being an oil-free formula, this foundation is quite hydrating, and it blends into the skin seamlessly, leaving you with a natural finish. It stays on easily for 10 hours or more, and it applies evenly without clinging to dry patches. 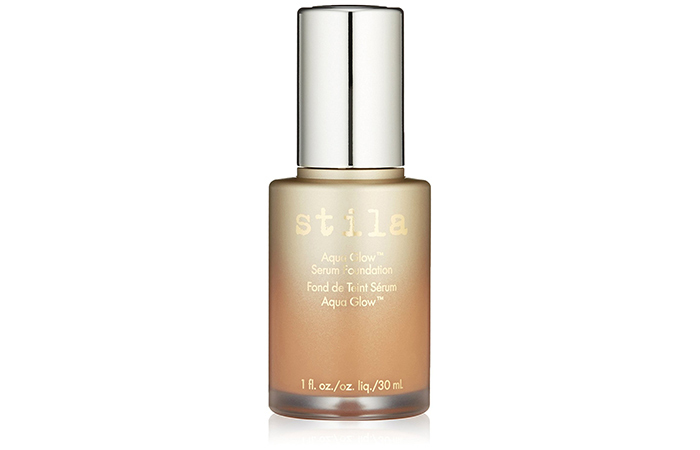 Offering sheer to medium coverage, this foundation makes for a great day and night formula for dry-skinned beauties. 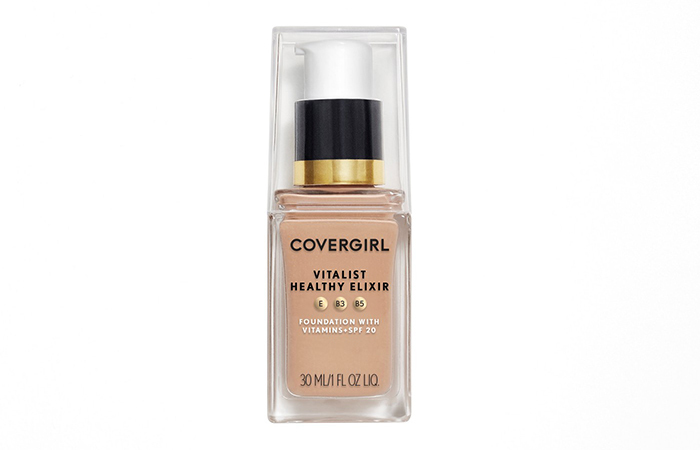 This foundation from Covergirl makes your skin look healthy and radiant with a touch of glow. Apply this using a dampened beauty sponge for the most flawless look. It works beautifully for dry skin, and you’ll get that desirable dewy glow through the day. It contains antioxidants and vitamin complex, plus SPF 20, which helps make your skin look healthy all day long. However, if you have super sensitive skin, you might want to avoid using this every day as it contains fragrance and several pore-clogging ingredients like wax and silicones. Looking for a foundation to hydrate and plump-up your skin? 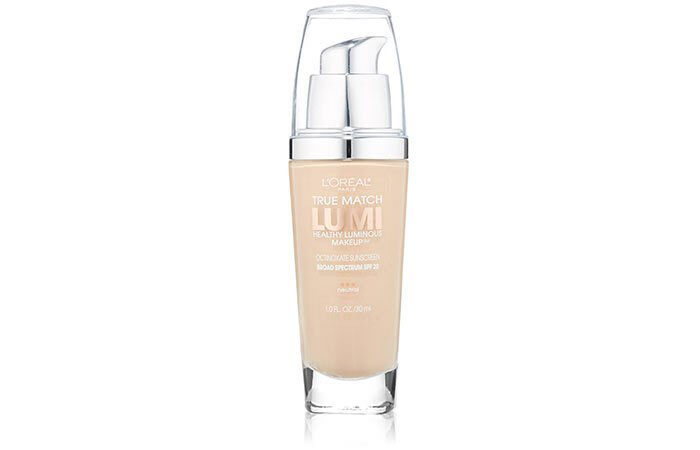 This foundation works well for very dry skin – it provides dewy, natural coverage, without looking made-up. If you have redness, freckled, dry, and sensitive skin – this is something you ought to try. It indeed is ‘deeply hydrating’ without being greasy. 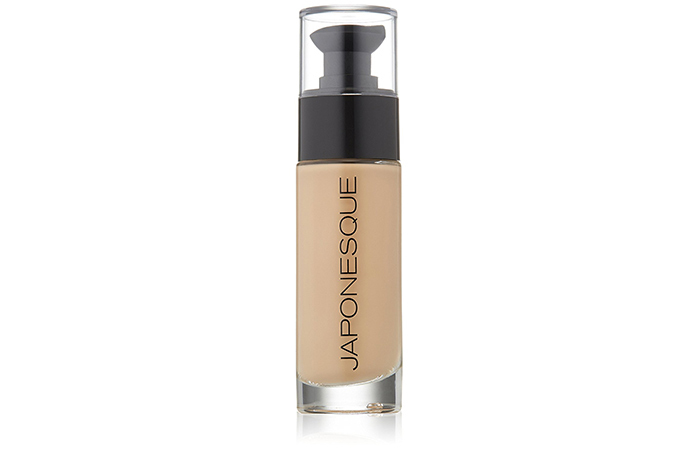 If you have dry, mature skin or sensitive skin type, this formula by Japonesque is a must-try for you! Its coverage is sheer, and this looks very natural on the face. It does not sink into fine lines or wrinkles, neither does it clog pores or feel heavy on the skin. This comes in a range of ten shades and is also quite long wearing. 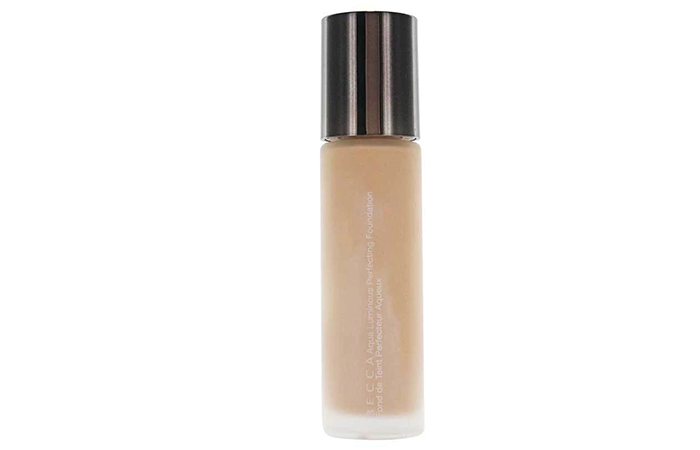 If you’re looking for a buildable coverage foundation that leaves you with a natural-looking, luminous finish, this one by Laura Mercier is made for you. It’s easy to blend and evens out your skin tone, covering all your problem areas without looking cakey. It also covers redness well and looks very subtle on the face. Is this the right time to mention that this is the best foundation for dry flaky skin? If hydration is your priority, this foundation from It Cosmetics will leave your skin looking naturally glowy and radiant. It’s lightweight, does not cling to dry patches and leaves your skin feeling extremely smooth. Also, its staying power is great as it lasts for a good 7-8 hours. However, here’s the catch – this foundation is available in only five shades, making it difficult to find an exact match for all skin tones. 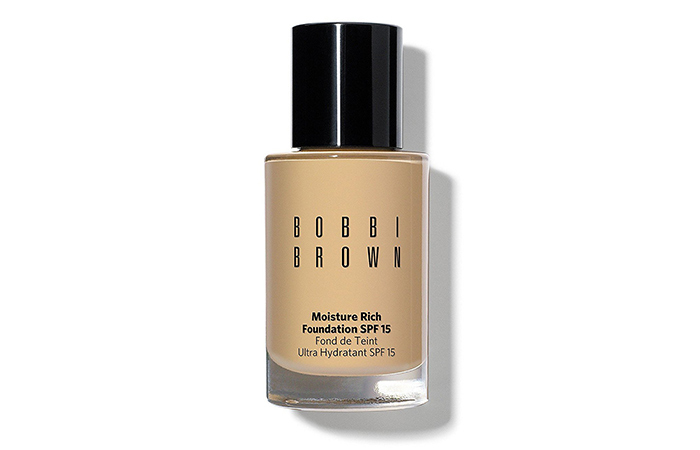 This Bobbi Brown foundation will only work for you if your skin is free of dark spots. It covers redness and evens out skin tone, but it’s a little too sheer to hide spots. 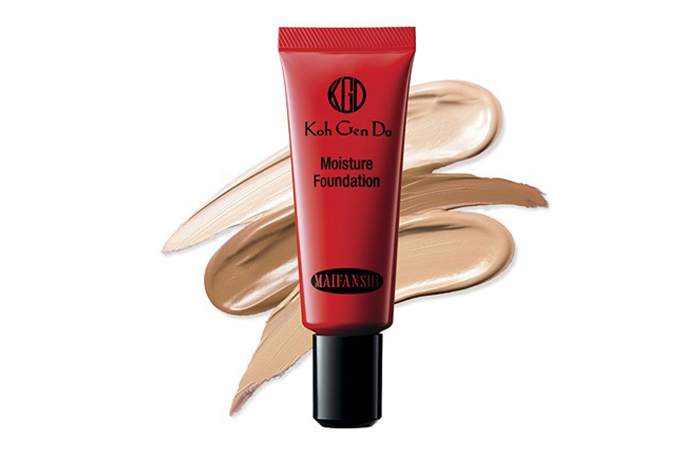 On the other hand, it’s a moisturizing foundation for dry skin and will leave your face with a beautiful, dewy finish. Its staying power is decent, and it does not dry out your skin or make it look dull through the day. If you’re on the hunt for the best coverage foundation for dry skin that won’t budge for a good 10+ hours, this Japanese foundation is what you need. It helps deliver a very natural finish, making your skin look fresh and flawless instantly. This one’s on the expensive side, but it does feel like silk on the skin! Highly recommended if you’re looking to try something different. 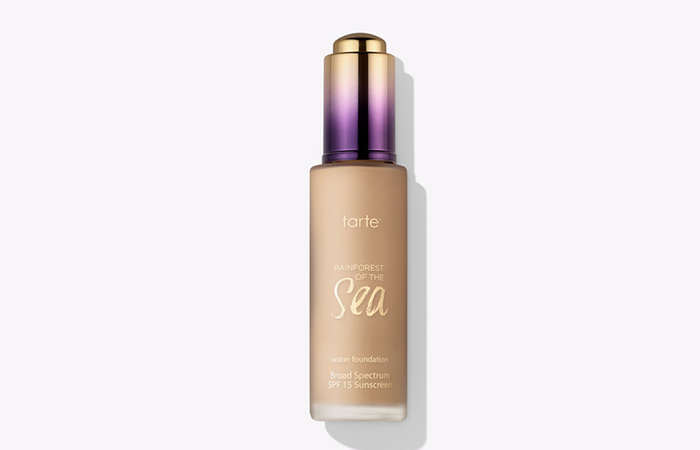 If your skin is very dry and dehydrated, this Tarte foundation is a must-try! It offers sheer to medium coverage and makes skin look even-toned and airbrushed. It leaves you with a dewy and radiant finish. It comes in a wide range of shades from fair to deep skin tones. The matching concealers from this range are equally good! This foundation photographs amazingly and is so easy to apply. It has a small opening to dispense the product, which is convenient because you don’t get too much product coming out at once. It gives you over eight hours of wear time without any touch ups. 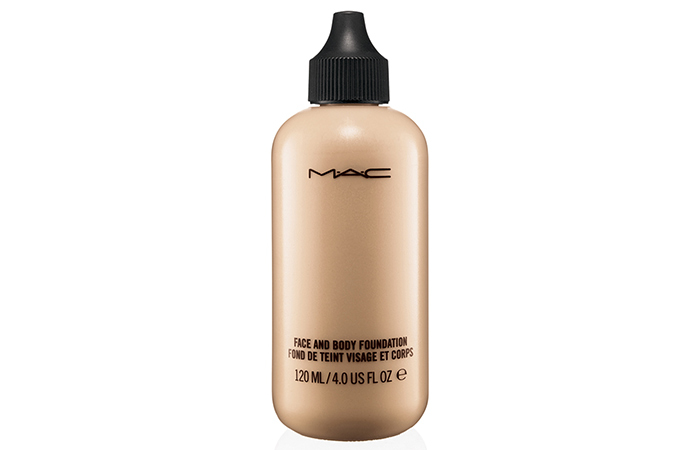 It is the best MAC foundation for dry skin as it does not emphasize or cling to dry patches on the skin. If you have very dry skin, it’s best if you use this along with a hydrating finishing mist or spray. This formula has customizable coverage and a huge shade range. A little goes a long way, and if you use too much, it will end up looking cakey. It has a light synthetic fragrance, but it does not linger on for long. Looking for a 100% cruelty-free and vegan foundation? Your search ends here with the 100% Pure Second Skin foundation. It’s enriched with the goodness of ingredients like Vitamin E, turmeric, and calendula. It also contains anti-aging antioxidants! If you have dry, mature skin, definitely give this a try! 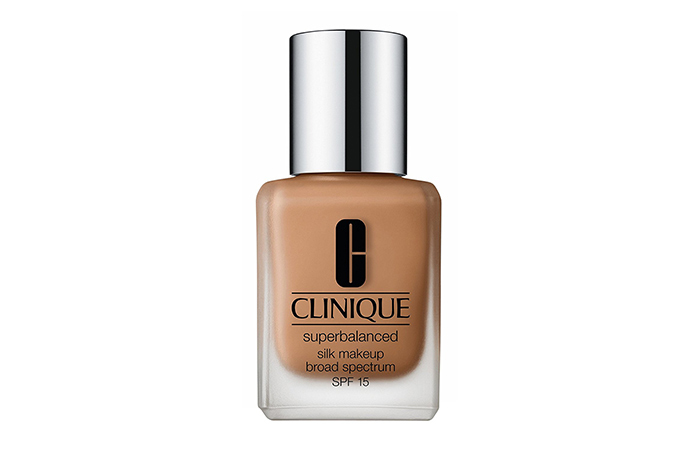 This is one of the best drugstore foundations for dry skin. It’s available in a range of extensive shades for light to deep skin tones. It applies and blends like a dream, leaving you with a radiant glow. This one provides light coverage and covers redness, evens out skin tone, and makes your skin look healthy. Also, the packaging is hygienic and travel-friendly. If you’re looking for a foundation for dry skin with lasting coverage and is suitable for daily wear, this one from Clarins fits the criteria perfectly. It’s lightweight and looks very flattering once it sets. The packaging is unique, and its pump gives you full control over how much product you dispense. 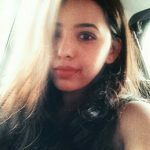 Now that you have an understanding of your options, here are a bunch of tips you should keep in mind while selecting your product. The key to a flawless finish lies in prepping. You need to exfoliate well, moisturize with a nourishing lotion or face cream, and wait for it to seep into your skin. Also, apply a primer before going in with your foundation. It’s also ideal if your foundation has ingredients like Shea Butter, Vitamin E, and essential oils. Look for textures like lightweight, light reflective and creamy because these give you the illusion of dewy skin. If you have dry skin that is prone to breakouts, avoid oil-based products; instead, use a lightweight, liquid foundation or serum that is water-based. Always test out a sample before purchasing your foundation. It’s also advisable to use tools such as a makeup sponge or a brush instead of using your fingers to apply the foundation. Hydration is crucial! You can never get enough water – which moisturizes you from within. Drink a lot of water, eat fruits and veggies with high water-content to sneak in some extra H2O. While applying your foundation, use a damp makeup sponge and press it into your skin for added hydration. If you have dry, mature, and aging skin, avoid pressed powder foundations as these will settle into lines and only accentuate them further. Use a formula with anti-aging ingredients like hyaluronic acid instead. If you pick out the right one, your foundation can be your dry skin’s best friend. 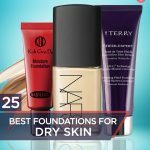 That was our roundup of the top 25 foundations for dry skin, and for every budget, to help you on your way to a seamless finish. Which one are you looking forward to trying? Let us know in the comments section below.